That race was badass. Who knew a 1.5-mile could be so entertaining? I certainly didn’t see that coming at all. I knew it would be better. I just didn’t expect it to be that great. The aero ducts moved air to the trailing car. Air being removed from the nose of the trailing car was drastically reduced. The need for downforce in general was also reduced as there was enough there already with the larger spoiler. At the same time, the restrictor plate was there to make air less effective on the cars. The combination of those things created a fender banging race at a 1.5-mile oval. The fans widely accepted the NASCAR All-Star package as well. Anyway, that package is probably the future of NASCAR. How did it compare to a Superspeedway race? “It was different. The only thing I could compare it too… Once it got strung out is Daytona of old. 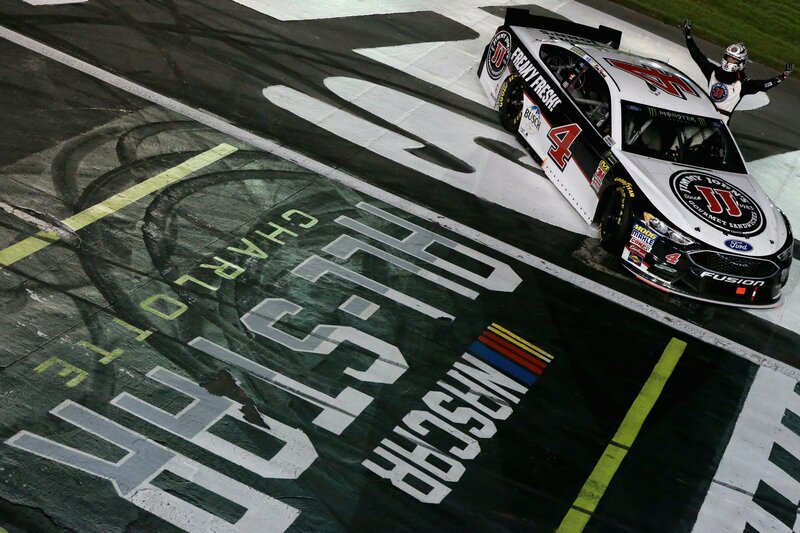 Before the repaved it,” Kevin Harvick stated after his win. The race was fantastic. Some fans want it right now. I’m certainly one of those because I’ve dreaded the 1.5-mile shows for years! But, Harvick has more patience than I do.